Pearl stud earrings are perhaps the simplest, and yet prettiest, of all earrings and should be an essential item of any jewellery box. At quick glance, pearl earring studs may appear all the same. Before looking at our new collection of pearl stud earrings, here is our short guide to choosing and buying the perfect pearl studs. The magic of a pearl lies hidden within its surface, where layers of a mother-of-pearl material called nacre gives this unique gem its characteristic shine or lustre. The stronger the lustre of a pearl, the more beautiful it will be. 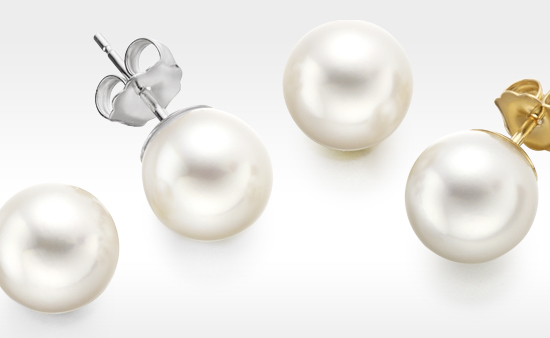 Above all else, choose a pearl stud earring that has excellent lustre. Pearls vary in size considerably and this does alter the style of the earring itself. The size of a round pearl is measured in millimetres across its diameter. Smaller pearls up to 8mm in diameter are easily worn every day and tend to be favoured by women with more petite features. Earring studs with pearls over 8mm in diameter can be ideal for evening wear and for special occasions. If in doubt, we recommend choosing pearl earring studs around 7.5-9 mm in diameter, which are most likely to suit all styles and are sufficiently versatile to be able to dress up or down with. A pearl earring should have a clean surface, with very few visible marks, unless the pearl is asymmetrical or baroque shaped. 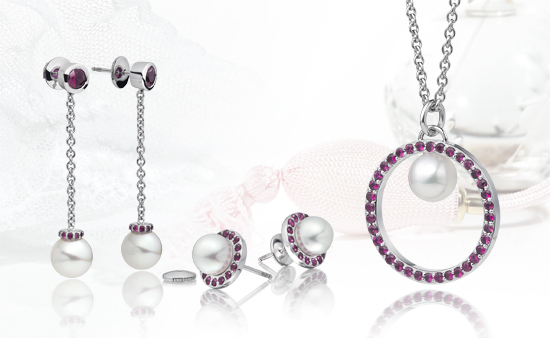 The majority of pearls used for stud earrings are round or button shaped. Button shaped Freshwater pearls can give an attractive twist to the classic pearl earring stud as they can also easily be worn in larger sizes. With our jewellery, we love the lustre, quality and round shape of the Akoya pearl as a perfect choice for pearl stud earrings. If you would like to learn more, read about Choosing and Wearing Pearl Earrings and Choosing Pearl Earring Backs in our Journal. 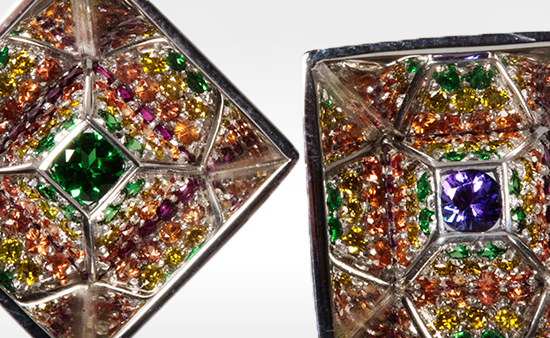 Discover our new collection of stud earrings for women here.